I have been viewing Photo Friday as a website for a few weeks and thought about taking up the challenge – not because I think I have any particularly great photos to display but purely for fun and to set myself a challenge each week unrelated to what I do for the rest of my time. 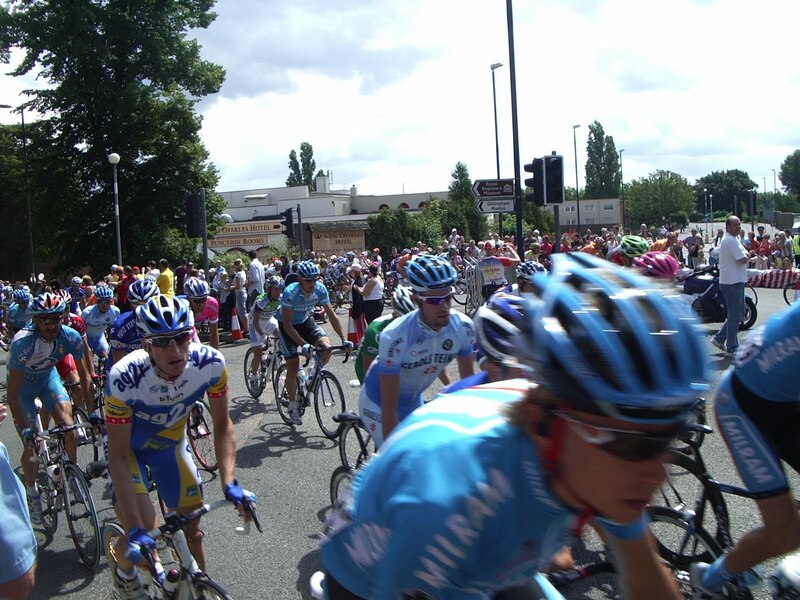 I do aim to go out with the theme in my head and the camera in my hands but this week is a bit if a cheek as I already have the photo from when the Tour de France cycled through Gillingham. I like the mix in the photo of vehicle, speed and the look of bewilderment of people as they watch the cyclists speed through. I remember we all waited nearly an hour and then hundreds of cyclists and their cycles sped past us in about 60 seconds!